The Independent National Electoral Commission (INEC) conducted the Osun Governorship Election on the 22nd day of September, 2018. The election was declared inconclusive by INEC and a supplementary election was held on the 27th day of September, 2018in seven (7)polling units in four (4) Local Government Areas of the State, namely, Osogbo, Orolu, Ife North and Ife South. 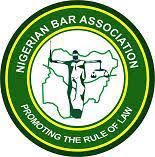 Members of the NBA Election Working Group, who had observed the elections on 22nd September 2018 and had prepared a Report thereon, were deployed to the affected Local Government Areas to observe the supplementary elections. OBSERVATION REPORTS; A. OSOGBO; Members of the NBA EWG arrived at Osogbo polling unit 17, ward 5, at about 7:00am. There was massive armed security presence with movement around the polling unit restricted to voters and observers. All the election materials were made available for the election. The electoral protocols for voting were fulfilled by the electoral officers at the unit. Accreditation and voting commenced at about 8:02am. The voting process went on smoothly till about 11:30am when some hoodlums invaded the area in an attempt to disrupt the process. The situation was brought under control by the security personnel present. In spite of the seeming and subtle form of intimidation, voters were undaunted as they did cast their votes. There was substantial compliance with the election process and procedure at the polling units. subsequent arrest by mobile policemen en-route Orolu. They were taken before Ali Janga, Commissioner of Police, at a Police Post. CP Ali Janga is in charge of Kogi State Police Command. Incidentally, the Secretary of the NBA ad-hoc EWG, Liman Salihu Esq. the immediate past chairman of the NBA Lokoja Branch, Kogi State, recognized the CP and showed his Identification Card to him but surprisingly the CP ordered that the team be taken to the INEC Office. At the INEC office, it took one of our own, Festus Okoye Esq. who is currently the INEC Commissioner representing South-East Geopolitical Zone, to secure their release; he also facilitated the team’s movement to Orolu. The road to Orolu is barely motorable and appears to have been recently graded for the purpose of the election. The location of the polling unit at Ifon Orolu Kajola was in a farm house inside a thick bush and there was only one unoccupied residence with a distance of about 80meters from the said polling unit. The materials for the election arrived on time at the respective units and voting proper commenced at the stipulated time of 8:00am. There was heavy security presence with about thirty (30) armed Police officials at Orolu. At about 10:00am, while figuring out how to get to Idiya Polling Unit in Orolu, four (4) Toyota Hiace buses packed with about fifty (50) fierce looking men, drove in and the men alighted and walked towards the polling unit without any PVC in their hands. In spite of the heavy security presence of the Nigerian Police, these men were not stopped nor asked if they were going to vote neither were they asked for their PVCs. This however aroused our suspicion. A member of the NBA Ad-hoc EWG who attempted a recording of the happenings (a few seconds was recorded though) was almost attacked by about six (6) of these men. Surprisingly the Police officials stood aloof and did nothing to stop the invasion by this group of men. The reason given by the security men (Police officials) for their inaction was that they could not act without formal complaints from us. identification bands were allowed access into Orolu while those without the bands were not allowed access and so could not vote. Although these voters without the bands displayed their PVCs to the Police men on ground as evidence that they had been registered to vote at that particular polling unit, the Police personnel adamantly turned them back and as such they could not exercise their right to vote. Voters that were allowed to vote without the bands were those who had arrived earlier before the commencement of voting. C. IFE NORTH; Election in Ife North was conducted in a village called Oyere. It was deep in a forest barely accessible by vehicle and was about two and half hours from Ile-Ife. There was strong security presence (The Nigerian Police Force) in and around the polling unit. Our representative observed that on his way to the polling unit, officials of the Nigerian Police force barricaded the road alongside some civilians. People were screened before they were allowed to proceed further; some were beaten because they had their phones with them which were seized. Some people were allowed to pass the checkpoint, but some others were turned back. Although our representative introduced himself to the security personnel, they merely scoffed at him. Our representative, for safety reasons, had to turn back as he was not given the opportunity to observe the rerun election at the aforementioned polling unit. agents told us in confidence that he had to use another party’s name tag to conceal his identity as a PDP agent. Voters’ education was duly conducted for voters present. The voting commenced at about 8:00am. The last voter on the queue cast his vote at about 12:05pm. The INEC officials waited till 2:00pm before declaring voting exercise closed. Cancellation of unused ballot papers commenced immediately while sorting of used ballot papers followed suit. Thereafter, vote counting, and announcement of election result was done by the presiding officer. This procedure was done in unit 12A and was repeated in unit 12B. CONCLUSION In conclusion the Rerun of the Osun state Gubernatorial Election fell far short of a free and fair election compared to what transpired in the election of the 22ndday of September, 2018 in Osun State which was however declared inconclusive. From the actions and inactions of the Nigerian Police Force they appeared to have been compromised given the fact that the Police did not question the activities of the about fifty (50) fierce-looking men who invaded the area at Orolu. SUGGESTIONS; 1. Polling Stations sited in the bush or where less than 20 residential places or houses which are not within a minimum of 50meters radius, should be relocated in future elections. Illustrative example is the above-mentioned polling units at Orolu. 2. There should be proper sensitization, training and orientation programs for all security personnel deployed for election purpose. A special unit should be established within the security agencies for election purpose and other civil engagements.